The Parent Trap – What Are The Issues For Today’s Parent? very very far from the truth. Parenting is all about worrying – worrying if the child is healthy, worrying that they are happy and, of course, worrying about their Montessori education. A lot of parents find that, when their child leaves the cocoon of home in order to begin their Montessori education, they worry that they will fall victim to bad influences. Most schools are made up of students from different races, different cultures and different home backgrounds. As a country which celebrates diversity within Montessori education, this is of course a good thing but it does unfortunately lead to the possibility of negative influence such as an attentive and quiet child falling under the spell of a more boisterous child prone to distracting classrooms. in awe of their child as they are. Bullying can stem from many issues such as jealousy, insecurity or a sense of injustice. A good school or Montessori academy will be expert at spotting signs of bullying and will take steps to stop it. Anybody who owns a television or uses the internet will be aware of the occasional, horrific attacks by students on their fellow students and teachers. In 2018, most schools and Montessori education facilities now have strategies and lockdown procedures in place to deal with these situations and, children and teachers are given regular drills to ensure that they know what to do should such an attack take place. With children as young as seven now owning cell phones, many parents worry that they have no control over what their child might see on the internet whilst in the school playground. Many schools and Montessori academies in Virginia are reaching a stage of imposing a complete ban on cell phones in schools for just this reason. Unfortunately, unless they perform time-consuming checks of each child’s pockets and bags, this one is quite difficult to keep a handle on. Even in very young children in Montessori education, some parents worry that their child may come into contact with illegal drugs during their school day. Recent horror stories in the news have told stories of children as young as nine and ten being found with cannabis in their school bags – hard to believe but no less worrying. At Mountainside Montessori Academy in Virginia, we are more than aware of all of these concerns – and many more. At Mountainside we don’t believe that our job stops with your child’s academic education which is why we regularly speak to all of our students about issues which may be worrying themselves or their parents. As a Montessori with a strict anti-bullying policy, we also work hard to ensure that every child in attendance in our schools is happy and free from the threat of verbal or physical abuse. https://mountainsidemontessori.com/wp-content/uploads/2017/12/new-logo-for-web-01-300x83.png 0 0 admin https://mountainsidemontessori.com/wp-content/uploads/2017/12/new-logo-for-web-01-300x83.png admin2018-07-12 13:11:172018-07-12 13:13:44The Parent Trap - What Are The Issues For Today’s Parent? importance during their Montessori education. designed to encourage children to explore their world. dishes. We’re also delighted to welcome special guests who will engage the children with stories of their own travels to ignite your child’s interest. Year upon year, the number of Montessori schools in Virginia is steadily growing as more and more educators switch on to Dr. Maria Montessori’s revolutionary education methods. The Montessori Association for Virginia describes Montessori as ‘Everything you think a school should be. It is an education that considers the whole child – the intellectual, social, emotional being.’ To be honest, it’s difficult to imagine who wouldn’t want that for their child, isn’t it? Pretty words aside, a recent study found that a Montessori education offers significant advantages to students in later life. Among a study of a group of 5 year olds, the study proved that Montessori students were significantly more prepared for elementary school in terms of reading and math skills than non-Montessori educated children. Other areas where Montessori educated children excelled was in behavioral tests where they displayed an advanced sense of justice and fairness. Today’s Montessori education system is increasingly competitive with schools vying for the top spot in county tables and the best results in tests and exams – even for children as young as six and seven. Not only does this add considerable stress to the lives of teachers and principals but, studies show that these young children are also suffering the effects of the pressure to compete. At Mountainside Montessori, one of the best Montessori schools in Virginia, we firmly believe that a child’s education is so much more than learning to read and write and passing tests. For the past 14 years, we’ve been dedicated to not only providing an academic education but an education for life. A few years back, a study revealed that an alarming number of children have no idea where basic food groups come from and how they are raised / grown. What’s the point of our children being able to add and subtract without a basic understanding of the world that they live in? To address this imbalance, our schools have, since 2010, included hands-on sustainable agriculture and environment activities for all children as well as free play in nature. We believe that children need to be taught to respect and protect our Earth and, where better to start than in the earth itself? By learning to grow crops and to spend time in nature, we know that our students are receiving much more than the ability to pass tests – they’re learning life skills that will serve them well into adulthood. Oh, and by the way, our students are also great at passing tests too – Mountainside Montessori School is the best Montessori academy in Virginia as recognized by AMI (Association Montessori Internationale) for maintaining their standards and the high level of excellence that Maria Montessori envisioned. and take a few minutes to browse through everything. https://mountainsidemontessori.com/. achieve once you look at their curriculum. This is a model for early childhood education. them out young and eager. our website again: https://mountainsidemontessori.com/. Contact us today for a tour. Making sure your child has adequate,and in top ten Preschool or Childcare in your area and engaging childcare as an infant or toddler is number one on the minds of most parents. They want to know what their child will be doing all day. appointments to visit, tour, talk to some of the teachers and maybe even see classes in session. The Goddard School for Infants, Toddlers and Preschoolers. world around them using the STEAM method. Goddard’s also offers a summer camp program. Check them out here https://campaign.goddardschool.com. 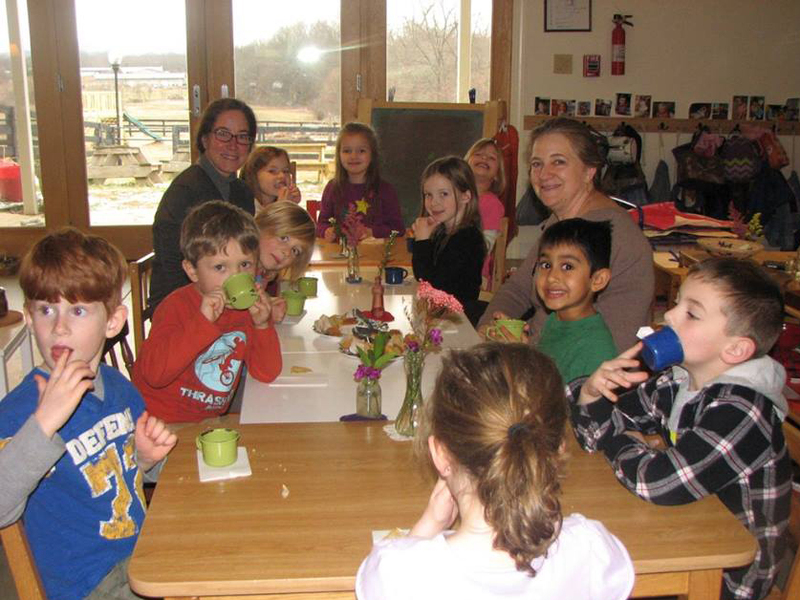 Mountainside Montessori in Delaplane, Virginia is the premier choice for discerning parents. Preschool or Childcare in your area. https://mountainsidemontessori.com. Contact the school closest to you for more information and there are more throughout the region. quick look at some you may recognize. long time and created something new and unique with it to entertain us. Montessori education. She learned observation skills and how to record her thoughts in a journal. This has been a sampling of information to help guide you to the right decision for your child’s education. The concept of a Montessori education may seem ideal for children with special needs such as autism, ADHD and other learning challenges. There are both positives and negatives in this idea. Montessori schools are concerned with the best interests of each child and strive to provide this to each student. Montessori classrooms are equipped with beautiful materials to engage all of a child’s senses. They are hands-on, enticing and therapeutic. In most cases they teach only one skill at a time and offer a chance for children with special needs to use their hands to explore and learn. Montessori groups children into 3-year (3-6, 6-9) multi-age classrooms, so the younger children can learn from older ones and Montessori emphasizes peace, cooperation, and respect, so it is less likely that a child with special needs will be teased or ostracized because the other children usually make an effort to accept, befriend, and encourage a special needs child. In the event that a special needs child needs to repeat a grade, they can do so without being held back or missing their classmates. But because class sizes are larger the Special Needs Students may not get the level attention he or she needs. Since children are encouraged to work at their own pace, without competition, test scores, and grades, they are also encouraged to follow their own interests when it comes to reading, writing, and research. This kind of freedom allows the special needs child to flourish. The multi-age classroom means a child is with a teacher for a 3-year cycle, building a strong relationship with the parents and their child and he or she doesn’t have the stress of starting in a new classroom each school year. Montessori teacher’s training does not include information on working with Special Needs Students, so prospective teachers must obtain this training and experience on their own. In addition, public schools are required to accommodate Special Needs Children, but Private schools such as Montessori school do not have that requirement. It is recommended that you inquire with the individual school you are interested in so see what their requirements, capabilities and accommodations for Special Needs Students are. Ensure that you understand what, if anything, they are able to provide before attempting to enroll your child. We are proud to be a Montessori school and its ideals and educational opportunities and especially to be recognized by AMI-Association Montessori International-USA as part of their organization. We follow their standards and practices and want you to know that we adhere to these principals completely. There are many resources available for interested parents and staff members so do not hesitate to contact us with any questions or suggestions. AMI pedagogical standards maintain the level of excellence that Maria Montessori envisioned. Established by the AMI Scientific Pedagogy Group, the standards insure that each school offers programs for their children that allow for their full intellectual, social, and psychological growth and that the approach is consistent with what is presented in AMI training courses worldwide. There will be one AMI trained teacher at the appropriate age level in each class. Each classroom must be equipped with a complete set of Montessori materials from an AMI approved manufacturer. These materials are available through one of the following AMI recognized distributors in the United States: The Juliana Group, Inc. or Nienhuis Montessori USA. A consultation by an AMI trained consultant is required at least once every three years. The AMI school recognition program was initiated in the United States to assist parents in assessing whether schools are following Montessori’s principles and practices in their original integrity and completeness. It is upon these standards that AMI recognition is granted. To receive an AMI Certificate of Recognition a school must be in compliance with all of the AMI standards. To qualify for Affiliated Status, two out of three classrooms or three out of four classrooms, or multiples thereof, must have AMI-trained teachers at the appropriate level. Additionally, the school must meet all other AMI standards. 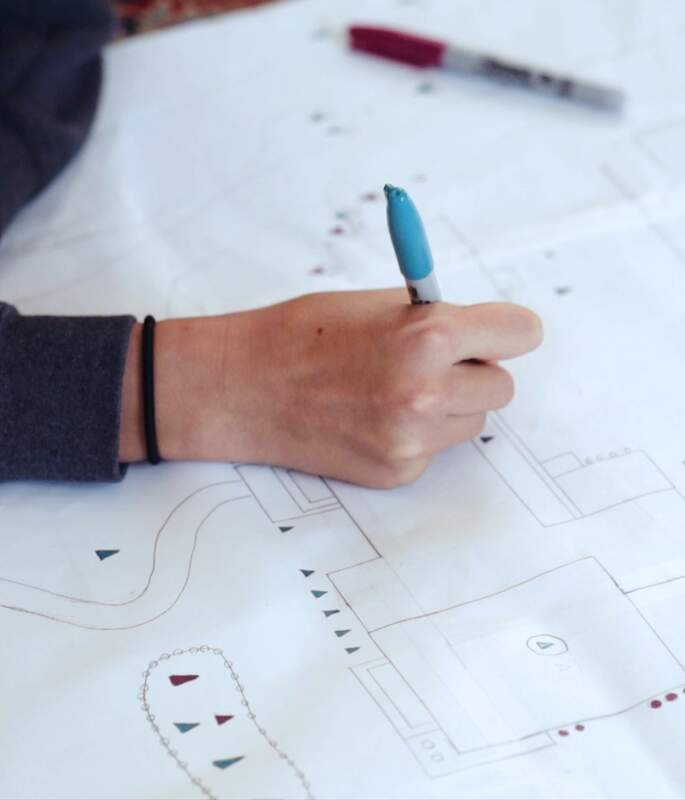 All schools can qualify for Associated status when they are in the developmental process and are striving to meet all of the AMI standards within three years. An exception to the three-year time limit is when low enrollment is due to circumstances beyond the control of the school, in which case the three-year time limit can be exceeded with annual review and evaluation. Public schools may qualify for Associated status when 50% of the teachers hold AMI diplomas and when at each level there is at least one AMI teacher holding a diploma for that level. Affiliated and associated schools are granted this status based on the fact that they are aspiring to become AMI recognized schools. These schools are given a grace period of up to three years in which to meet the requirements for AMI recognition. 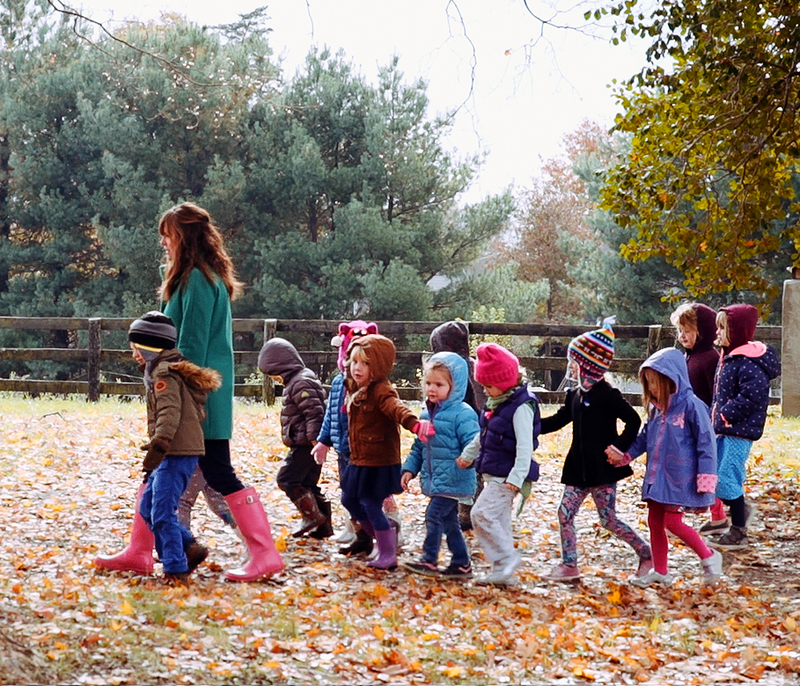 There are so many questions about Montessori Schools, what they are and how they work. There are also many resources and answers on the internet, so take a look at some of them and see which appeal to you. Finding a definitive answer for everyone’s question is not easy because we all see things differently, but here is a good example from Wikipedia. It also contains a lot of resources and explanations https://en.wikipedia.org/wiki/Montessori education. Let’s do a comparison of some highlights about Montessori and traditional schools. No set lesson plan. Children determine direction Lesson plans are pre-set per grade. Children set own schedule. Teachers work within a time frame. Students explore and discover Education plans adhered to. These are basic ideas that are compared and there are many more ideas to compare. One good resource is http://www.montessoriint.com/the-montessori-method/comparison-between-montessori-traditional-education/. It is evident that the Montessori model is much more geared to freedom for a child to learn at their own pace and that traditional schools are more structured, which is what most of us are accustomed to seeing. Each family needs to decide which method is most suited to their personal goals. Montessori classrooms are designed in three-year age brackets, such as age 6-9, rather than one age traditional per class. This allows older children to help younger ones and for them to interact together freely. Neither do they emphasize textbooks, homework or grades. Students are responsible for their own progress. Visit our website at https://mountainsidemontessori.com/ and look through our wonderful programs and videos to get a true picture of our school, teachers and classes. These are some very innovative and interesting ideas to consider when deciding about your child’s education. You will want to be an active participant in which ever choice you make, so get as much information as possible. School is almost over for this semester, but don’t worry, you won’t be bored when you find out what Mountainside Montessori has planned for the summer. We want to keep you active and engaged and excited about what is coming up so we have a little preview for you. We will hold out some surprises but we still want you to get excited about some fun and challenging activities. If you are 5-10 years old we hope you didn’t miss the Memorabilia Mania or Color Your World, there is still plenty of stuff to do, so be sure you are signed up and ready. In addition to getting outside and enjoying nature, here are some great plans we have. June 18th, 8:30 to June 22nd, 5:30 Hands on Science (New exciting stuff to learn about). Have a great Fourth of July!!! We know all these activities will keep you busy and having fun and of course, learning something new and different. It will be time to return to school next month, so enjoy the rest of your summer and we will look forward to seeing you then. Come back with lots of fun adventures to share and all the new things you have learned about. 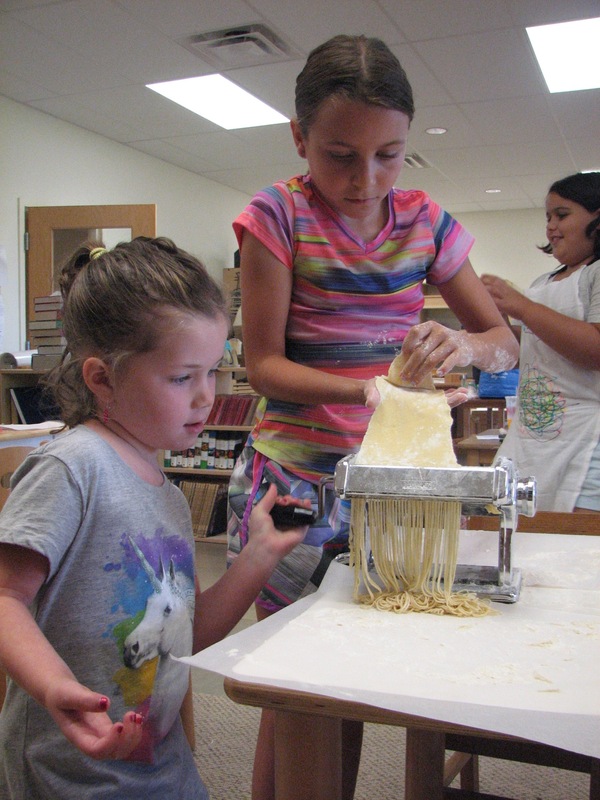 Maybe our cooking classes in July with inspire some Master Chefs in the future. Come and join in the fun. See you over the summer.